Coronado bridge photographed during a low tide where the brown muddy sand and green grass were exposed on the foreground to give layers of depth on the image. 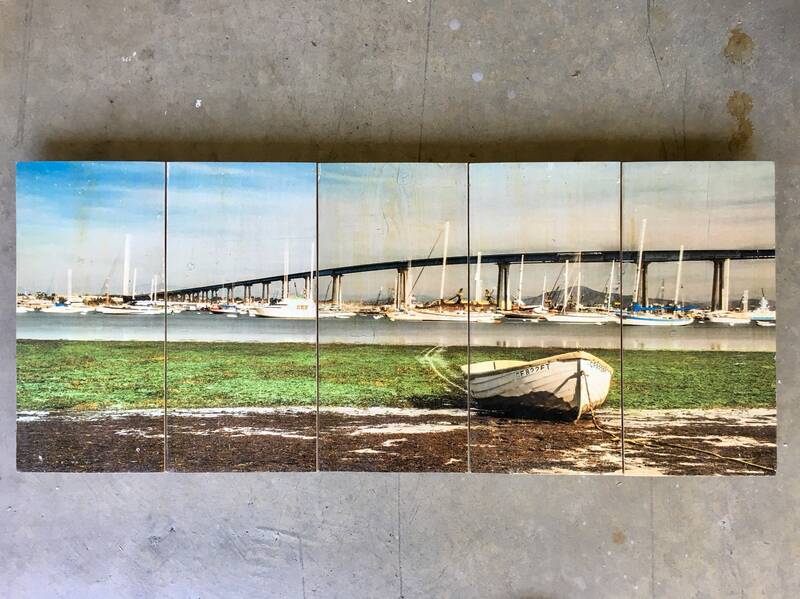 The image was transferred onto 5 pieces of reclaimed wood that are joined together. Its handmade process gives one of a kind result that makes each piece unique. The size is 35” x 15“. Wall hanger included.